Ghodabandar Road unfolds the resort that presents the true essence of Kashmir. Guests can choose to stay in any of the rooms, ranging from double, deluxe and super deluxe rooms to log huts, which are built amidst the landscaped garden space. The in-house restaurant designed in the shape of a shikara serve Kashmiri cuisine and is complimented with Kashmiri music in the background and Hukkahs. 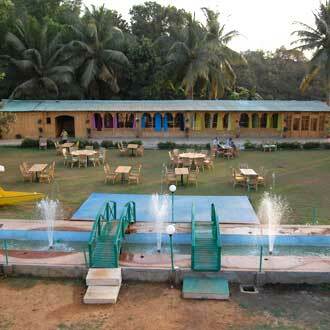 There is also a swimming pool where one can unwind or host a pool-side party for 150 guests.